The chairman and CEO of the world’s largest personal computer maker Lenovo, Yang Yuanqing, was reported to have poked fun at a series of foldable phones recently released by rivals during media interviews at the Mobile World Congress in Spain. Yang said these phones, without naming a brand, have not surpassed the stage Lenovo’s concept bendable phones were at when they were released three years ago. “After the launch ceremony, they will only be put behind a glass cover, no one will be allowed to touch them; the prices are so high that you can buy several tablets with the same money,” he said. 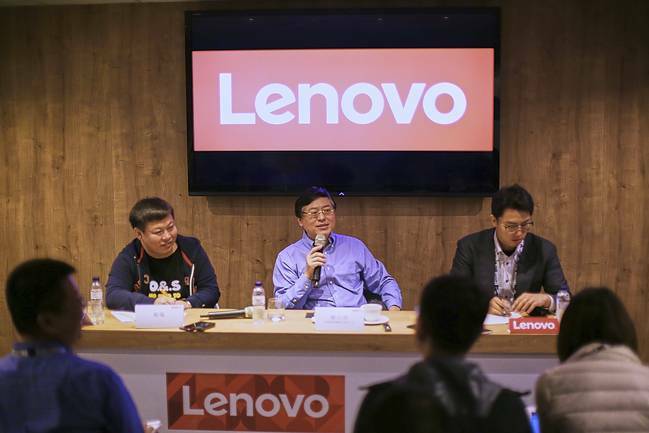 Yang did not reveal any new developments for Lenovo’s concept foldable phones, although he said the company is doing research and development on both 5G phones and foldable phones. However, despite initial skepticism, a CNET tech reporter that got the chance to play with one of the bendable phones Yang had mocked, said it worked pretty well in his hands, despite a bit of stiffness when he folded and unfolded it.